Soak wakame in warm water for 10 minutes, rinse with cold water and drain thoroughly. Dry the tuna with paper towels and dice into 1/2 cubes. Combine remaining ingredients except sesame seeds. Chill for 1 hour before serving with sesame seeds sprinkled on top. 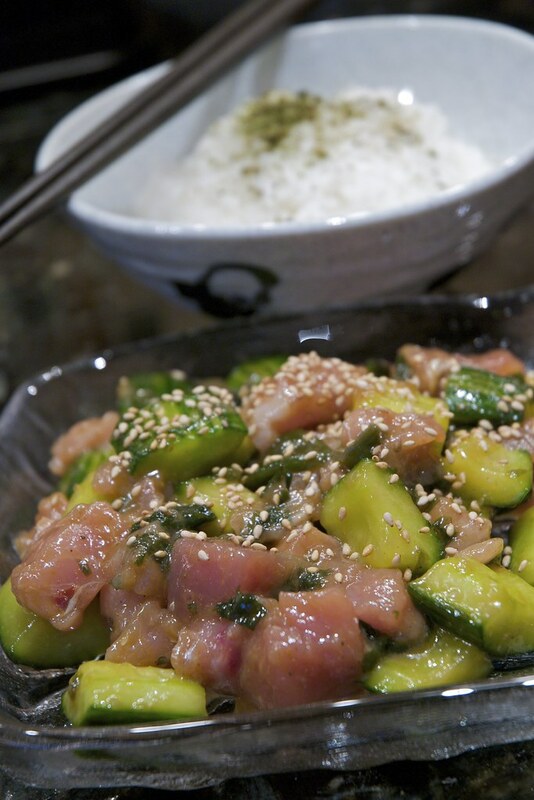 A nice dry Riesling goes great with this dish to cool the spiciness and cut through the sesame and fish oils.